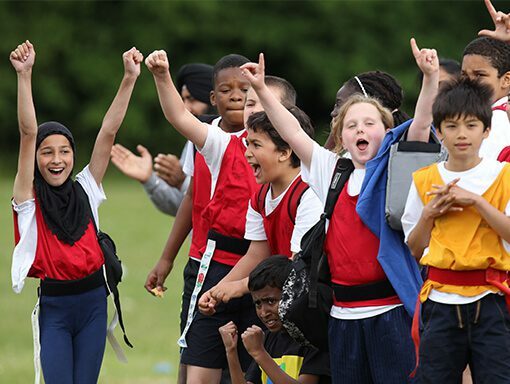 Saracens Sport Foundation run a number of programmes across several sports in schools across North London and Hertfordshire. 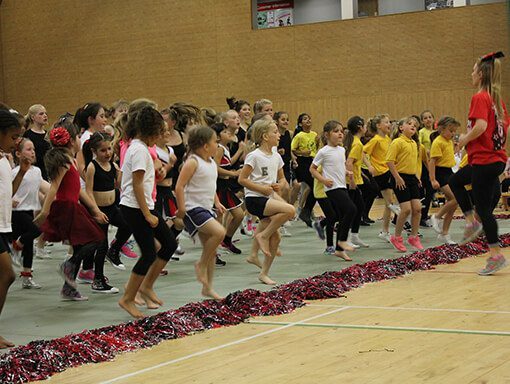 Our team run a mixture of curricular and extra-curricular rugby, athletics, dance and cheerleading programmes. These programmes aim to increase participation as well as delivering educational outcomes to assist in improving attainment. Educating children on the importance of maintaining a healthy, balanced lifestyle in everyday life is also a key outcome. More information on any of our in-school programmes below, please fill out the enquiry form at the bottom of the page. BLAST aims to build a sustainable structure and pathway for school rugby in Barnet and North London. The project targets schools with no rugby history or expertise, with each school receiving teacher training, coaching and competitive fixtures. School engagement starts with an initial head teacher meeting to ascertain their needs. We then follow this up with a series of teacher training sessions, including Rugby Ready which is now perceived as a minimum standard for PE departments on the BLAST programme. Schools receive extensive curriculum-based delivery for their Year 7 and 8 students with a view to future Year 7 pupils having rugby on their curriculum and building this throughout the year groups. 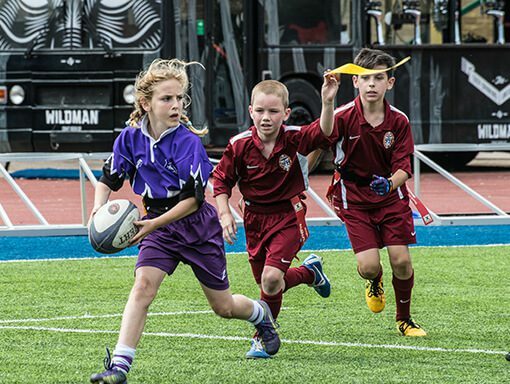 Schools form part of the BLAST League and festivals for students in Years 7-11, with opportunities to play at Allianz Park throughout the academic year. 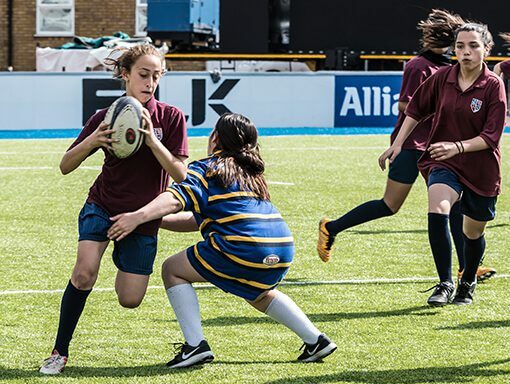 Importantly, fixtures are not only held at Allianz Park but also at local clubs as a clear pathway continues to be built for school students to transfer into a club environment. 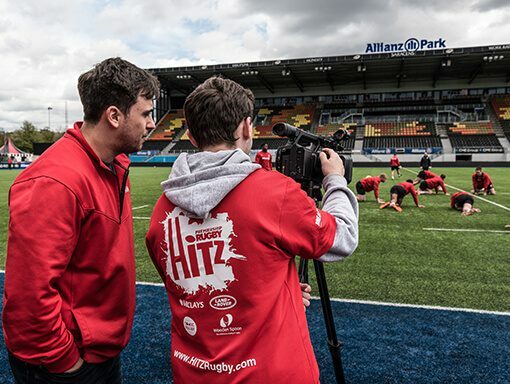 HITZ is Premiership Rugby’s flagship programme and is divided into two strands; HITZ On Track and HITZ Learning Academy. HITZ On Track is aimed at 14-16 year olds and is an in-school provision that is made up of an issue-based session and a practical rugby based session. Various topics are covered in the issue-based session including nutrition, confidence and self-esteem building, drug and alcohol awareness and other sessions that highlight pertinent issues facing young people today. HITZ Learning Academy is our remodelled education and traineeship provision for 16-24 year olds who are Not in Education, Employment or Training (NEET). The learning academy runs 5 days a week for 13 weeks per cohort and offers Functional Maths and English to Level 2, a variety of sports and coaching qualifications, various workshops and issue-based sessions, CV building, work experience, and much more. There are 3 cohorts per year running from September, January, and April. The aim of the programme is to engage young people who are disaffected and help them to build their confidence, resilience and aspirations through a range of qualifications and experience, ultimately helping to build a brighter future. The Tag Rugby programme aims to increase levels of participation in tag rugby across primary schools in Hertfordshire and North London. The programme also provides opportunities for children to enter their local rugby clubs as part of the Saracens Tag Rugby Festivals, helping to overcome barriers to participation. The Tag Rugby programme not only provides opportunities for children in Year 3, 4, 5 and 6 to play tag rugby, but also encourages young leaders (Year 10, 11 and college students) to officiate and gain valuable experience for their personal rugby development. 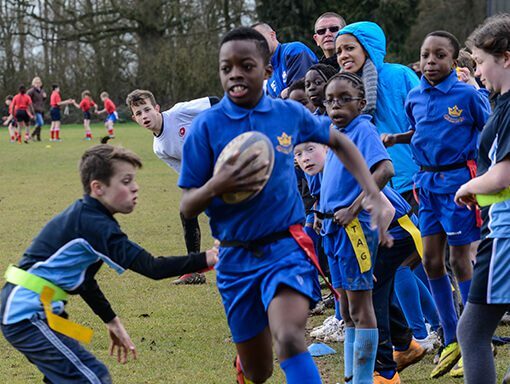 In partnership with schools across Hertfordshire and North London, Saracens Sport Foundation work with Young Sport Leaders to provide the skills and resources to be able to coach and officiate tag rugby competently. We run a series of local workshops for 14-17 year olds, concentrating on the skills of coaching young people and refereeing tag rugby. These young people then assist with the coaching and preparation of tag rugby in local primary schools, refereeing at their district tag rugby festival. Additionally, students are expected to log 10 additional voluntary hours before being signed off with certification upon completion. Saracens Sport Foundation’s “Sarries in My School” programme provides a bespoke schedule of sport and physical activity. Sessions run before, during and after the school day and we cater for a range of age groups. Our key aim is to provide opportunities for children to lead healthy and active lifestyles. The programme is tailored to suit each school’s needs and offers a variety of session options including whole-school assemblies, taster sessions, days of activity or a series of high quality coaching sessions with appropriately qualified rugby, cheerleading, dance and athletics coaches. The service is flexible and can be funded by the school or the parents.